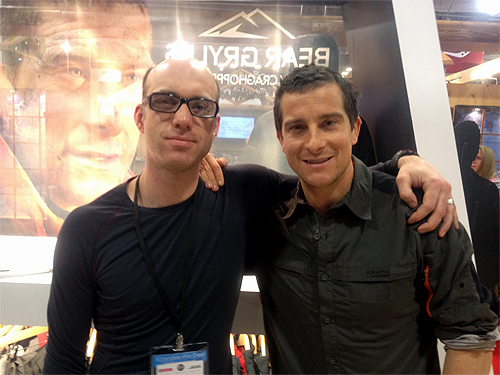 Craghoppers Ltd., a British outdoor clothing company, works with survival star Bear Grylls for product development and marketing. We caught up with the Bear man himself in person for a chat on his recent adventures, his work on the new Craghoppers clothing line, and what he wanted to be as a kid when he grew up. 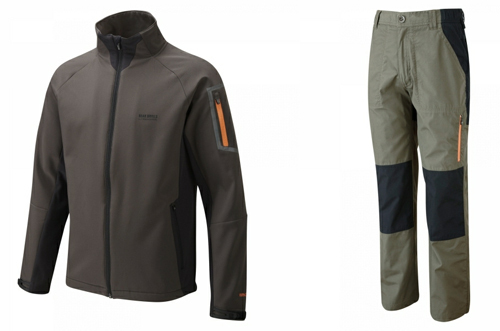 Gear Junkie: You’ve worked with Craghoppers for a couple years on developing a clothing line. How is it different? Bear Grylls: The difference that we have is the “survival edge” — this line was developed in the field and there is a survival element to the clothing. It’s all super quick drying, made of rip-stop, everything is reinforced, from the zippers, to buttons to pockets. There’s an anti-mosquito material. There are sunscreen fabrics used. That’s the edge we have. Where did you draw influence most for the line? Main thing is the field. We make the stuff and then we go out and test it. Make sure it all stretches in the right places. We rip it, we smash it, and then we go back and improve it. We do this 8, 9, 10 times on each thing before we start manufacturing. My team and I love the process because we all have influence over the final product and we can really genuinely be proud of this kit. We had this same process with our Gerber knives, and now they are the best-selling outdoor knives in the world. Define what Bear-designed gear is. What makes your stuff stand out? Quality and innovation. 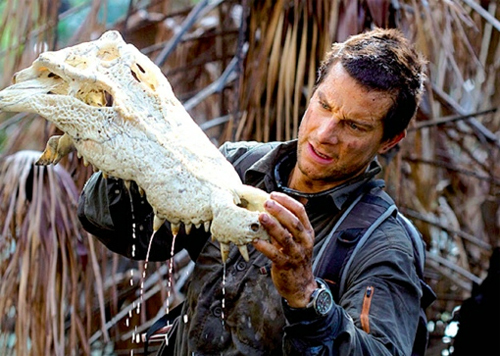 On the show [“Man vs. Wild], I try and always think “how can I use things in nature to improvise?” It’s innovation, like using a tree branch and shoelaces to collect water, or whatever. I love that part. I try to bring that same element to survival kits and clothing. We over-develop the buttons and the zippers, make them tough. Make them just work. That way you won’t have to think about your bloody gear when you’re out there! It just does what it needs to do. What is the most valuable piece of gear in the wilds for you? The most valuable thing you take into the wilds is your spirit! You gotta never quit. And you smile when it’s raining. Really, kit [gear] is kit. All the great survival stories are not about kit. The people survive because of what’s going on in here [points to his head] and in here [points to his heart], and that’s actually the most valuable stuff. Personal gear question: Boxers or briefs? The boys are 8, 5, and 2. No girls, yet. Another random question: What cartoon influenced you growing up? Oh, that would be Batman. I have always loved hanging upside down. Get some blood to the head. I did it as a kid. I try and do it once a day still now. OK, last question. As a kid, what did you want to be when you grew up? When I was seven years old, if I was told I would have a job climbing trees and getting muddy. . . well, that would have been what I wanted to do. And I pretty much do that now. That’s what I have. I am super lucky. I work with my best buddies in some of the great wilderness extremes around the world. We do work our nuts off, give it 100 percent, but it is always so fun. 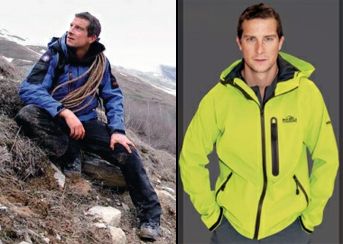 —See the full Bear Grylls Craghoppers clothing line here. Technical boxers and briefs are not yet included! next:Bike Across the USA, Build Houses Along the Way!